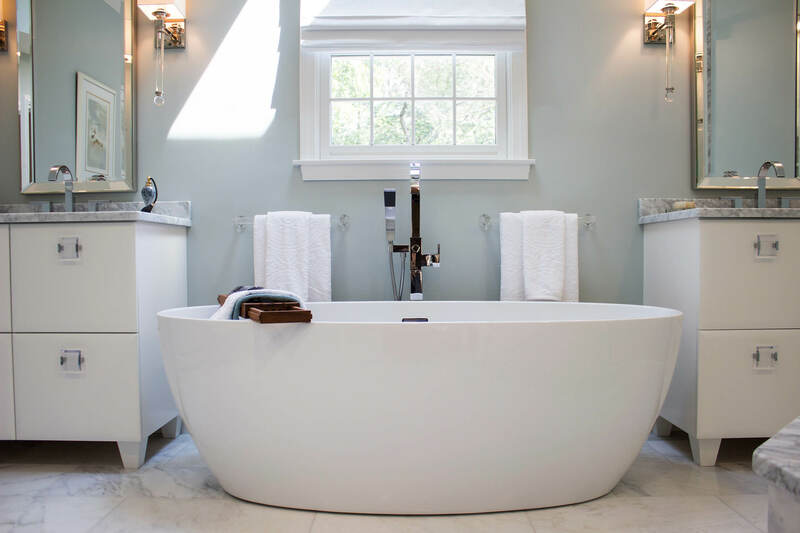 Cote & Foster Contracting is a family-owned-and-operated, full-service general contractor serving the North Shore of Massachusetts and New Hampshire homeowners. We offer design, build, and renovation services, interior and exterior, residential and commercial. Past projects include custom-built homes, rebuilds, remodeling for kitchens & bathrooms, and elaborate full house remodels & additions. 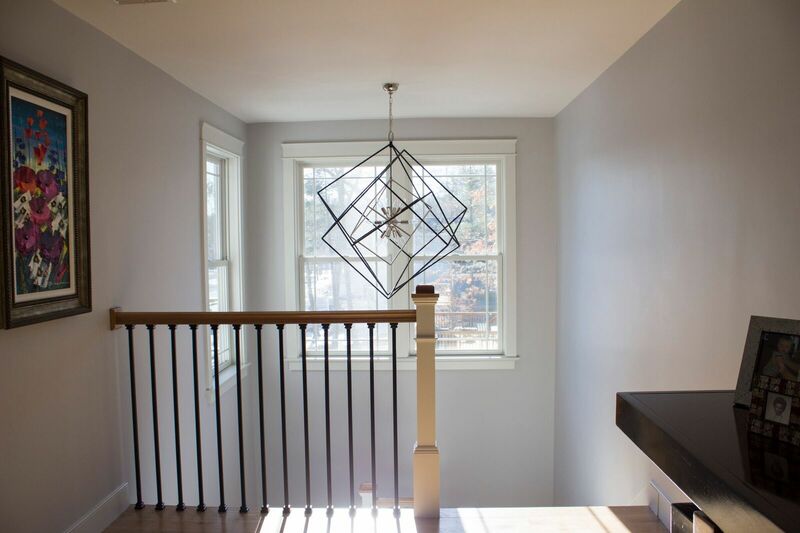 A background in civil engineering gives our owners Steve Cote & Bill Foster an edge in the business with their ability to custom design projects to complement their carpentry and remodeling services. This service involves seeing an entire project through from initial meeting to the drafting of final plans for the client’s approval, and everything in between. Once the design is approved, we move on to estimating and beginning the project per the client’s needs and preferences. The design piece, in many cases can eliminate an architectural expense for clients looking to build a brand new home or completely remodel and existing home. With a combined 70+ years of industry experience between owners Bill & Steve and 33 years in business, we have established solid relationships with our subcontractors and vendors. These partnerships ensure that high-quality materials and products are used in all our projects. In addition to that, members of our team have 10-29 years of experience working with us, keeping up the Cote & Foster standard of quality. Our expertise, commitment to excellence, and focus on your desires are well-known throughout the North Shore. We pride ourselves on giving you only the best service possible. You are limited only by your imagination. 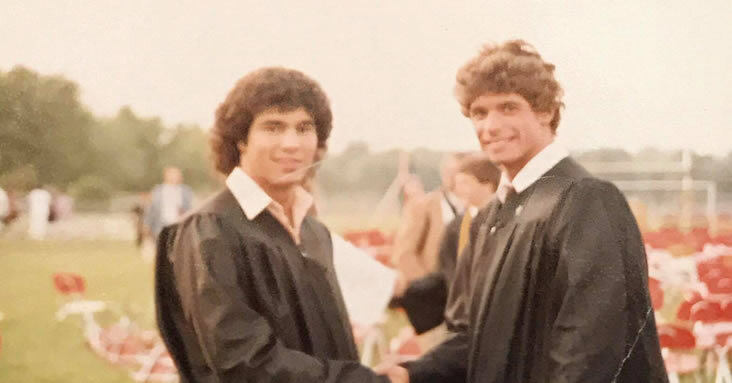 Bill (right) and Steve (left) at their high school graduation from Greater Lawrence Technical School, Andover, MA, in 1984. 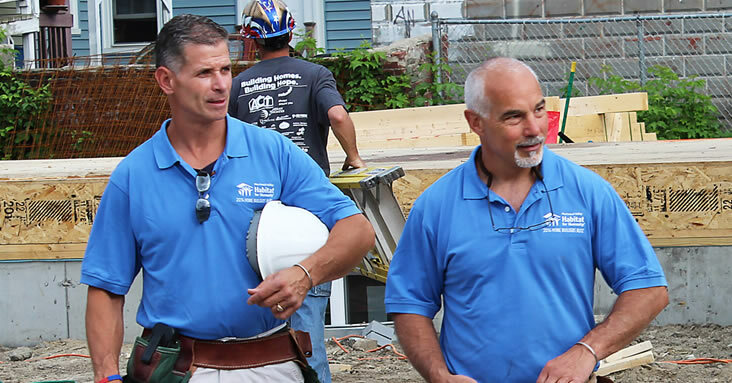 Bill (left) and Steve (right) at the Merrimack Valley Habitat for Humanity Builders’ Blitz in Lawrence , MA, in 2014. The story of Bill & Steve goes back to Mrs. Martel’s first grade class at St. Augustine’s School, where they met as two goofy six-year-olds and began what would turn into the lifelong friendship they have today. “To be honest, Bill is more like my brother than my friend,” Steve says. Bill is godfather to Steve’s daughter and their kids have called them “Uncle Steve” and “Uncle Billy,” respectively, since they were just old enough to talk. After graduation, they went on to major in civil engineering at Northern Essex Community College. Classes were Monday, Wednesday, Friday, and we took jobs on Tuesdays and Thursdays building decks, porches, and mantels, among others. It’s really cool to think that where we are today, those kind of jobs are considered small in comparison to others we’ve completed since then. The guys started out with humble headquarters in an old car, a makeshift office in Steve’s mother’s (Lorraine) basement and Bill’s mother (Barbara) answering phones for them. The check from their first “real” job went directly back into the business, towards the purchase of more tools. After some years, they eventually were able to find a commercial space on Water Street in Lawrence to set up headquarters and have enough space for the trucks they needed. “Definitely an upgrade from borrowing my dad’s basement, but there was still room for improvement. There always is,” Steve says. From there, they acquired their current space off of Pelham St in Methuen, complete with sizeable office space, a workshop that spans two floors, and a garage for the cube vans, dump truck, and hydraulic lifts. More recently, Bill & Steve expanded their space into the unit next door, adding a conference room for meetings with subcontractors and clients alike. 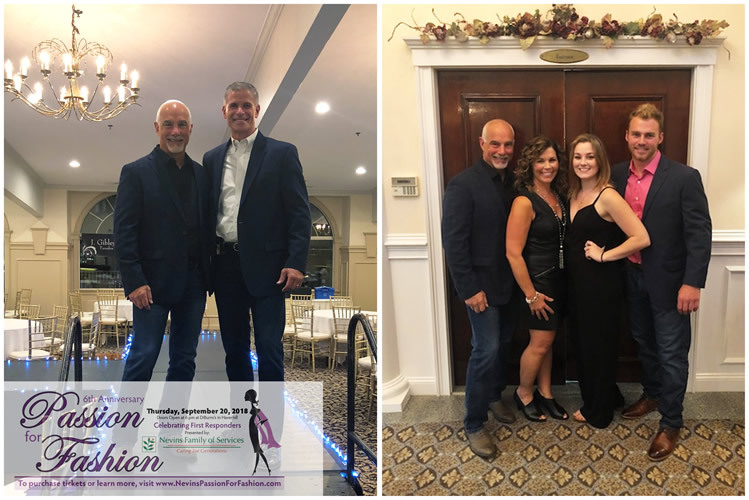 Nevins Manor, a nonprofit nursing home in Methuen, MA, hosts an annual Fashion Show in support of their residents (all proceeds from the event go to improvements for the Nevins residents programs and facilities) and honoring local first responders. Cote & Foster proudly sponsored and attended this event in 2018, a truly fun night for all! 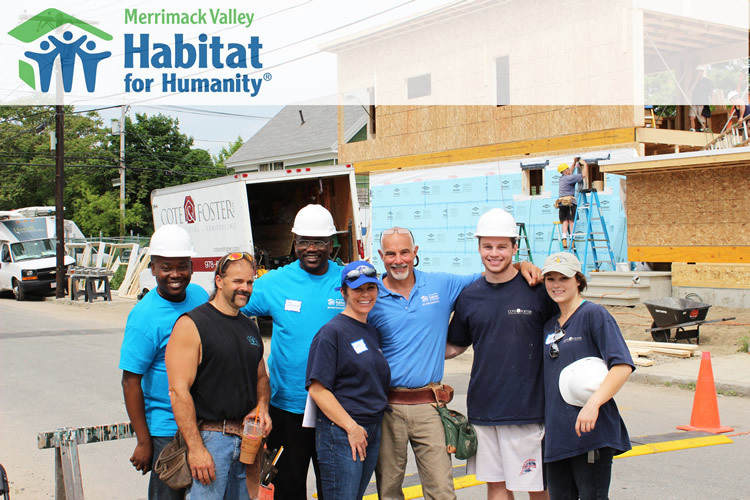 Cote & Foster has proudly taken on the role of Lead Builder for the recent Habitat for Humanity (HFH) Builders’ Blitz’ hosted by the HFH Merrimack Valley Chapter. With the Builders’ Blitz, the HFH team impressively assembles a complete two-family home in a matter of days. For months and months before each Blitz, Steve & Bill worked with the Merrimack Valley chapter to plan each step along the way, including finding donors, sponsors, volunteers, and vendors to help with the event. Read more on the Blitz and Cote & Foster’s involvement here.